Good techno-thriller, currently free on Amazon. It's ending is a bit of a let down, but the rest of the story moves at a good pace and has some interesting ideas. A scientist has a method to stop oil production, and some Wall Street traders want to use his idea to control the price. As they get involved with a team of "fixers" to pull it off, the RCMP start getting on their trail. Maverick/woman-in-a-mans'-world Bernadette Callahan starts putting the pieces together and tries to track them down. The characters are well written, and it moves at a good speed. I was really enjoying it until it just suddenly finished. Could have done with a proof-read to catch various spelling errors. Well written history of the Old West, starting with the earliest hunter-gatherers and how they reached the land mass that would become America, and going up to the late 1800's. Mike Flanagan writes in an easy to read manner, and the book is scattered through with how to find some of the places mentioned, and explaining some of the language and giving some famous quotes. He looks at the main characters who will be well known to most people, but also manages to bring other characters to the foreground to give them recognition that may have been missing. 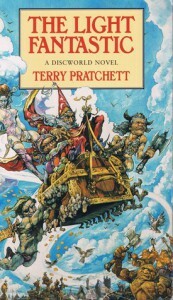 The second Discworld book, following on directly from [b:The Colour of Magic|601238|The Colour of Magic (Discworld, #1)|Terry Pratchett|https://images.gr-assets.com/books/1365691644s/601238.jpg|194190]. Rincewind and Twoflower find themselves taking in more of the scenery around the Disc as various people and things try to capture or kill them. The story moves at a good pace, and the characters are well written. 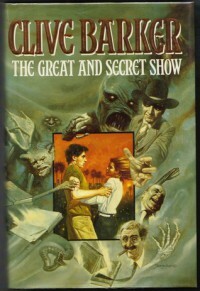 Good pulp novel, set in an unspecified time, featuring hard bitten detectives, femmes fatales and mobs of mooks. Also throw in smoke monsters, mad scientists, magic, and then introduce Dragon and Tiger, whose intentions depend on which side of the law they're on. This was a good selection of characters and an engaging story that blurs the line between good and bad. The fantasy elements fit in with the background and don't take over the story. Will be looking at others in this series to hopefully find out more of the main characters backgrounds. 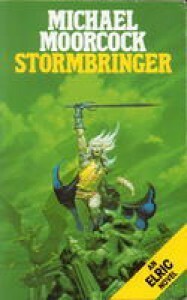 Here ends the saga of Elric of Melnibone. Chaos begins to tip the balance of the world in its favour, and Elric is tasked with restoring it. A rather introspective and downbeat way to end the series, but it fits in with sagas of old where the hero has to make sacrifices to achieve the result. This is still my favourite book cover of all time. Good world building, in a possibly post apocalypse world where there are just a few tribes of people scattered around in a dying, dried up world. There are old tales of life before things changed, and two distinct schools of magic. The characters are fairly predictable, along with most of the story, although there are a few surprises along the way. The pace of writing is just right to keep you turning the pages to see what will happen next. This first book in the series was free on Amazon, I'm not sure if I'll rush off to buy book 2 right away. 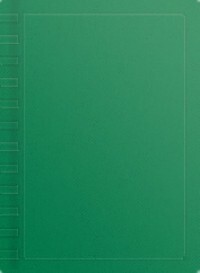 Very short and concise explanation to writing text adventures. Looks mostly at the "interactive fiction" side of things, but the ideas could be applied to any style of choose your own adventure story. Steampunk style adventure. Came across as a bit YA when I started reading, but once the action started it improved in that regard. An ex-Fleet captain of airships now acting as a privateer along with his crew, the daughter of one of the most wealthy families, her warrior-born cousin and a new recruit to the guards (along with her cat) are thrown together after an invasion by a neighbouring Spire. 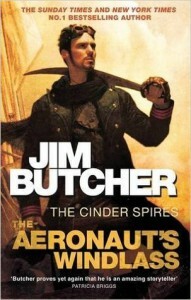 This is so different to Jim Butcher's Dresden or Codex Alera series. He seems to find a unique style for each one. 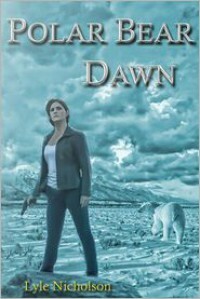 The characters are well written, the action is exciting and the places are well described. It really shines in the way characters talk and act, and he has a good turn of phrase that matches each person perfectly. Will be looking out for book 2. 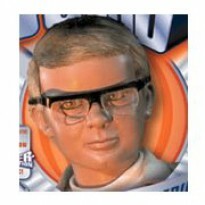 Follows on nicely from Stigers Tigers. Following the events from that, Stiger now finds himself in charge of the Vrell castle, but other groups also want it for their own reasons. This book introduces dwarves and elves into the mix, but they don't have too big a part just yet. The fighting scenes are well done, and it tends to stick to the main characters from book one. This is shaping up to be a good series, and will be getting the third book. Sort-of Roman army story, mixed in with fantasy elements. Fairly standard story of new officer with a past gets given some dregs from the army and moulds them into the best fighting unit around. Although there's nothing especially new or exciting, it's a well written book with decent characters. Contains a good mixture of fighting, politics and details of the history without bogging down in page filler material. Hassel and his comrades in the 27th Penal Regiment continue fighting on the Eastern Front. Well told, with a good mix of characters. The original members of the regiment are jaded and cynical, while the people away from the front see them as nothing more than fodder. 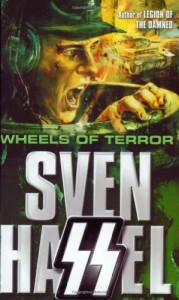 Lots of action, with some brutal scenes and the dark humour that helps them get through each assignment. 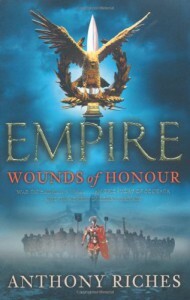 Slower to get going compared to the first book [b:Wounds of Honour|6911710|Wounds of Honour (Empire, #1)|Anthony Riches|https://images.gr-assets.com/books/1347315049s/6911710.jpg|7137262], and otherwise it's more of the same. 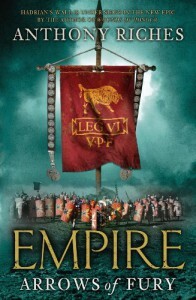 Centurion Marcus Aquila has to keep his head down as another Roman comes over to Britain trying to track him down after his family are branded traitors by the emperor. His higher-up friends who know his secret manage to keep him out of the way by sending him and his century off scouting around the countryside, where (as in book 1) he runs into all sorts of barbarians and kills them. The second half gets more into the action and has some tense moments. Good debut historical fiction novel. A Roman is hidden in the deeps of Britain to escape the emperor's plot to destroy his family. Marcus Valerius Aquila gets sent over the sea and joins up with the legion, where he is quickly given a new identity and made a centurion. Some of the early incidents are a bit contrived (taking on the century's hard cases to win them over), but overall it's a good story with some funny barracks humour thrown in. Plenty of excitement and tense moments, and the characters are well written. The Drenai Empire is fading, and the Nadir Empire rises against it. Druss the Legend is taken from retirement for one last battle. Joining him are an unlikely collection of companions, and a fortress suffering from lack of troops and morale. 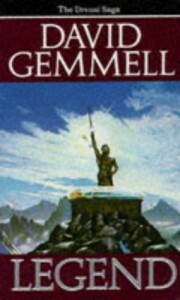 This was Gemmell's debut novel, and the characters, pacing and tension are done just right. It may not be wholly original in its ideas but it is a very good fantasy novel. It's been 20+ years since I last read this, but it has moved around with me and I thought it was time to take it off the shelf again. Looks behind the secrets of a small town in America as the people there are chosen to be unwilling participants in a battle between good and evil. There's a lot of interesting characters and the story keeps moving at a rapid pace with plenty of tension. Collection of three connected stories. Orks are attacking the planet Octarius, and different groups of Space Marines have to blunt the invasion. The White Scars have to investigate and stop the build up of forces on the moon. Raven Guard are sent to the planet to see what the Orks are fighting for. In space, the Salamanders have to stop the Ork space hulk before it reaches the planet. They all also find that the Eldar are apparently working to the same cause, for their own alien reasons. Lots of good action scenes, an infinite amount of Orks, and decisions to be made by each chapter regarding whether to work with the Eldar or try to stop them as well. Each of the Marine Chapters are well described by the things that make them different to the others. The overall story really gels together. Some of the Space Marine Battles books that focus on one particular chapter can be a long slog through the list of names. By doing this book as separate but connected stories then it keeps it interesting all the way through.